Ravaged - The Chip's Challenge Wiki - The Chip's Challenge Database that anyone can edit! You'll need fire boots to progress. 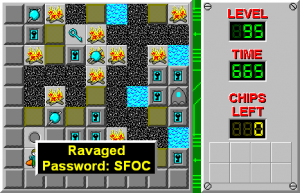 Ravaged is the 95th level in Chip's Challenge Level Pack 4. It was created by Josh Lee. 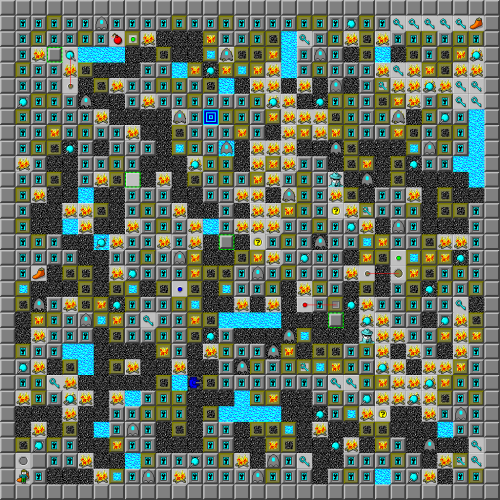 Its design is portrayed as a destroyed Sapphire Cavern.